You probably already know the most basic steps in wrinkle prevention—wear sunscreen, avoid the sun, don’t smoke. And while these tips are absolutely essential, there are a few other things you can do right now to avoid wrinkles. In addition to being a great source of protein, fish contains the essential fatty acid, Omega-3, which helps nourish the skin and keep it plump and youthful. Also, soy is said to be a protectant and sun-damage corrector. Our skin has natural barrier oils and moisture that protects against wrinkles. However, these barriers can be stripped and washed away when frequently exposed to tap water. Also, be sure to use a cleanser instead of soap, as it can contribute to stripping away too much moisture. By lifting away the top layer of dead skin cells, these natural fruit acids reduce the appearance of fine lines and wrinkles, particularly around the eyes. And, new research suggests that AHAs may also help stimulate collagen production. Prescription cream, Retin A (a.k.a. trentinoin) is the only FDA-approved topical treatment for wrinkles and is said to reduce fine lines and large wrinkles and reverse sun damage. 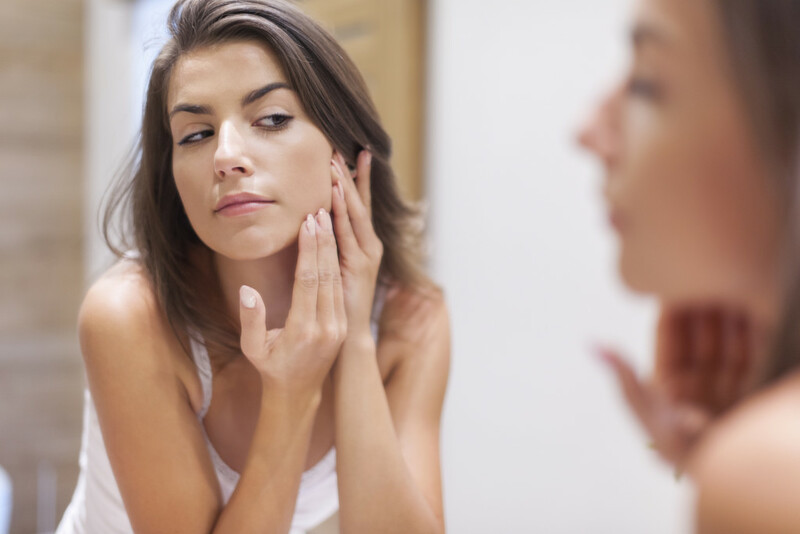 Retinol, which is a natural form of vitamin A found in many over-the-counter products, is said to be almost as effective as Retin A but without the side effects (i.e., itching, burning, increased sensitivity). A lack of sleep leads to the production of cortisol—a hormone that breaks down skin cells. When you get more sleep, you produce more HGH (Human Growth Hormone), which helps keep skin thick and more elastic. Also, sleeping on your back can help to avoid fine lines caused by your pillow overtime.